Welcome to Day 15 of 31 Days of Getting Organized by Using What You Have. It seems like every time I go anywhere with my family there is a need for a bandaid or pain reliever or ointment. 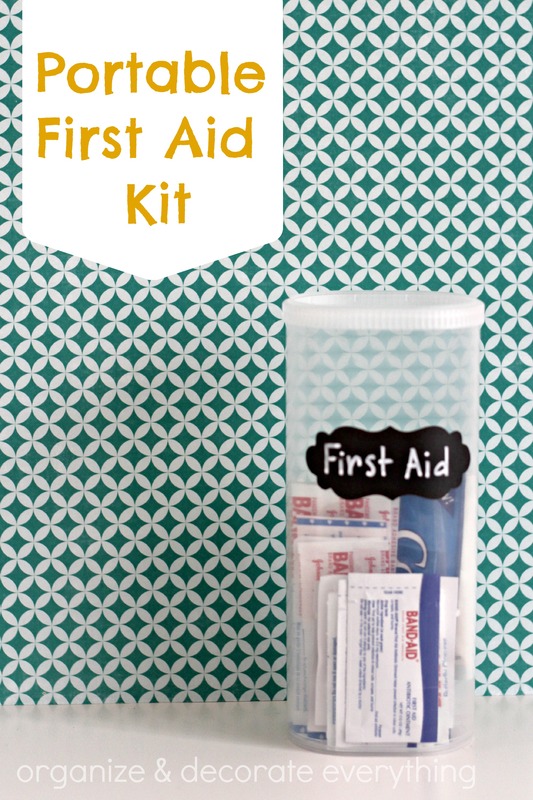 And it seems like all the first aid kits were too big or didn’t have enough supplies to make it convenient to carry everywhere. So I decided to make my own using a Crystal Light Container. 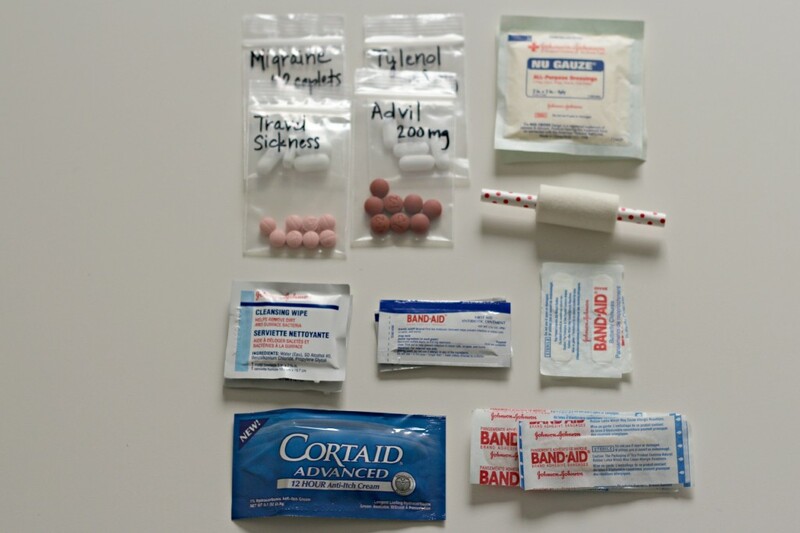 I raided the medicine cabinet and gathered the supplies most needed for my family. I used little ziploc craft baggies to hold the medication and wrote the names and dosage of the medicine on the bags with a sharpie. I also wrapped medical tape around a cut down sucker stick. I would normally use a popsicle stick but I didn’t have one on hand and this worked. Then I used my Cricut and cut out a label using chalkboard vinyl. 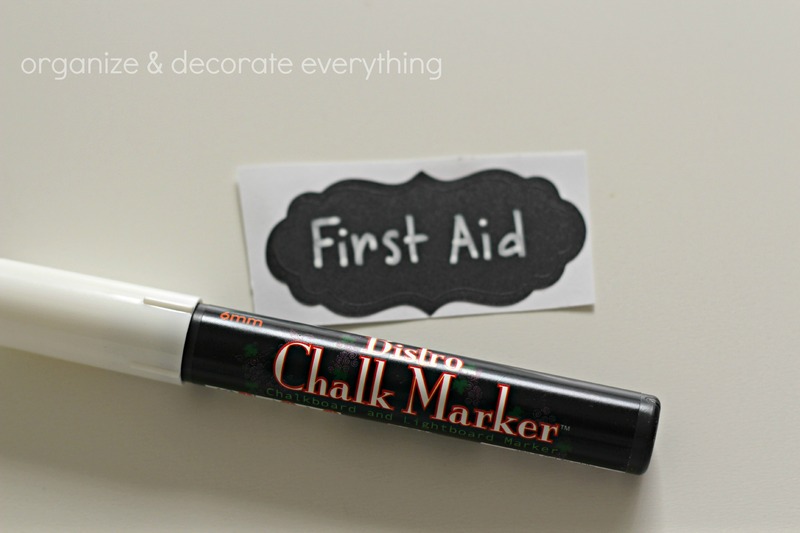 Chalk markers work great on chalkboard vinyl and wipe off easily with a damp cloth. I don’t recommend using a chalkboard marker on painted chalkboard though unless you don’t care if it comes off well. 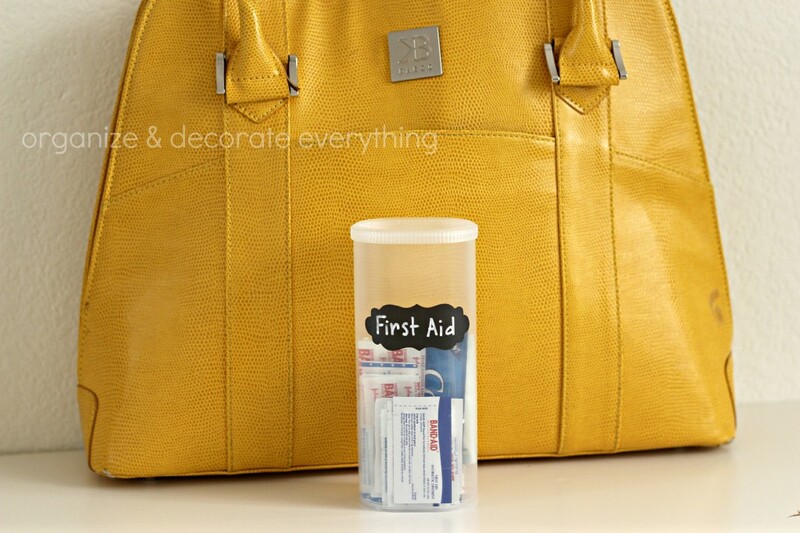 The first aid kit is the perfect size to slip in your purse, diaper bag, beach bag, back pack or glove box. Can you think of more ways to use Crystal Light containers to get organized? They will be childproof. They will have the name and ingredients listed. They will have an expiration date. This will really reduce the chances of a child obtaining access to them. I made these as stocking stuffers for my adult children this year 🙂 they were much appreciated.